Roy Gandi has several simple rules in designing a turntable. Reduce the mass and increase the strength, move structural resonances to the upper range of the frequency spectrum, minimize damping, and reduce engine vibration without using mechanical aids. The new Rega RP6 is an example of how it looks in practice. The turntable housing is lighter, but in comparison to the model RP5 there are two metal stiffeners connecting them. The platter base is made of aluminum and the platter is a two layer glass. The second layer is a glass rim that increases the peripheral moment and further dampens the base platter. Thanks to sophisticated engine vibration control the engine is hard-connected to the housing and is located close to the sub platter. Like the rest of the Rega turntables this does not have a sub chassis so it is separated from the base with the legs that are taken from the RP9 model. Another one simple and well designed product that promises good sound. For all those wondering why here’s a little bit of explanation. Turntable is a mechanical device that is sensitive to everything, including itself. This “all” is primarily the actual situation in which the turntable is located at a distance from speakers that are the source of vibrations. The needle that is in the groove runs through the groove vibrating and tries (in the best sense) to transfer what is printed there. The needle is connected with a turntable over its casing (cartridge) attached to the tone arm. In the most cases the tone arm is connected through a casing to a platter rotating around its axis. On the platter there is a record, and the platter is on the axis that allows the desired rotation. To have a platter rotated you need a motor that also needs to be here somewhere. All this is more than enough source of trouble. Suppose the needle will not have a problem to read the groove content. But there is a tone arm that holds the cartridge. 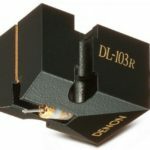 The tone arm should allow non vibrating environment to the cartridge. But the fact that we have something vibrating on top of it(needle) and it is not an easy task. We are looking for those vibrations that are inspired by music rather than by structural resonances. The platter needs to be the ideal support for the record featuring a music message. In the real world the platter also resonate a little bit instead of turning in silence. Nothing terrible, but when we add an imperfect platter to the imperfect tone arm the chances of good sound progressively drops. Then the motor comes in the game that will turn the platter via the belt of the driven turntable. The belt is a good idea because ideal motor doesn’t exist. This has remained the problem of direct drive turntables, namely those in which the axis on which the platter is at the same time an electric motor axis. The belt should compensate miniature nonlinearity of the motor which a good idea. The theory is all good until a practical check arrives. And then things are not very brilliant. What do you think is happening when the needle comes to what is called a strong modulation? When someone on the record decides to “crush on the drum”? The needle goes into a tough fight with a help from the mass of the platter on which the record is and the torque of the motor. We said the motor and the platter were connected to a belt with a certain elasticity. Now, this elasticity does not come in hand because the belt acts like a clutch on the car. One on the record that crushed on the drum slowed down a bit because needle/platter/motor connection was swinging like an elastic spring. For those who think it’s just enough to increase the mass of the platter and the torque of the engine I have bad news. The heavier platter will produce more noise in the bearing that sits on its axis. The platter itself will require extra isolation from itself, except for weight. Then we will need to isolate a tone arm from that noise that is already sufficiently tormented with the needle and its resonances. Stronger engine means more noise from the engine. If you are going to solve all these problem, you will end up with a turntable that has to weigh at least tens of pounds. Just imagine what kind of a heroic venture is to solve the same problems with directly powered platter! If you’re Roy Gandhi then you go in the other direction. So the Rega RP6 as a lightweight turntablee that looks like a set of very simple solutions. And really, they are simple, but getting to the same is not easy. That’s why Roy Gandi is a big name. How to keep everything to a minimum and get the most out of it – that is the right question. What is reliably known is that the shortening of the drive belt and the control of the vibration of the motor can significantly reduce the clutch effect. And here general knowledge is standing so it remains to answer the question how Rega RP6 sounds. This turntable came to the test at a time when the fascinating Sota Star rotated the records in my system and waited to write the text. Rega RP6 has something in common with four times expensive Sota. And that’s the tone arm. Sota Star uses Rega RB 301, while RP 6 has the new RB 303, which we will treat as the identical products for the needs of the text. As the Grado cartridge Model Reference 1 was mounted on Sota, it went to RP 6. We have tw, almost identical Rega tone arms and the same cartridge. So we can easily find out how important the rest is. Before continuing, I have to draw attention to the three facts to the readers. First, the price difference between these two turntables is enough to buy a whole, sounding great, Rega system. Second, this is not the best Rega turntable and the idea is not to show how much Sota or Rega are worth. The Grado cartridge itself is more expensive than the RP 6 turntable and here is how to reduce the number of variables. Suppose Sota Star is a reference to which we will measure the range of the Rega RP6. Grado Reference 1 is the cartridge we wrote about and which showed in the Sota all Grado’s luxuries of color and musicality for which lovers appreciate it in particular. Rega RP6 could not convincingly present all the qualities of this cartridge because it was primarily lacking in harmonic upgrades. Everything was true but modestly displayed. In the lower part of the spectrum there is a lack of energy and lightness that swaying unstoppable from the bottom towards the center. The middle is quick and accurate, but more oriented to a faithful display of basic information than on a fine upgrading. So it is with treble area that will not suffer from lack of information, but from the lack of microdynamics. The space definition is very good but not great. Is Sota Star four times better? Of course it is not but it’s always so in High End. But it was not all on Sota’s side. Rega RP6 spins black record as a CD player spins a CD! This feeling of stability and precision of rotation has only direct driven turntables but it is difficult to approach Rega when it comes to the overall persuasiveness of the presentation. Never for that amount of money I have not heard a turntable that can do it and in the same time not significantly affected anything else. If we remove the expensive Grado from the story a functional improvement will occur. Grado Reference has by Rega standards, as well as a large number of other cartridges, an oversized housing, so the ton arm should be raised to provide the appropriate angle on which the needle is sitting in the groove. For this we need a special pad that goes under the tone arm. No special problem, except that an appropriately raised tone arm now prevents the use of the lid! On the Rega turntable only cartridges of the appropriate height, otherwise you will fight against dust by other ways instead of lid. Constructive failure or conviction that you don’t need better than what Rega offers. What to say in the end? Turntables are complicated devices and if you want a good sound with a minimum of hassle Rega is an unbeatable choice. Like every lightweight turntable RP 6 is particularly sensitive to the underlying surface so it takes a lot of effort. Additionally, for this amount of money it is hard to find a device that has so skillfully balanced virtues and defects, which is made with such a precision and plays so precise. Here is Rega RP6 Manual Download.